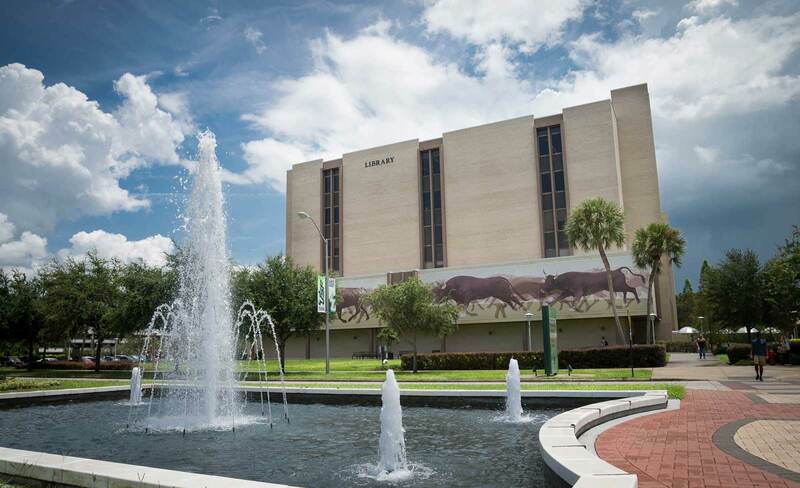 USF Tampa Interlibrary loan will lend books and articles, within licensing agreements, to U.S. and International libraries with a goal turnaround time of one business day. We make every attempt to lend any format that we will borrow for our patrons, including media, government documents, microfilm and theses. All book delivery and returns are sent either by statewide courier or with tracking via commercial courier. Interlibrary lending services during winter break will be restricted to articles only. Do you accept ALA or email requests? May libraries outside of the United States use your services? How do you deliver requested articles? Do you consider requests for items from your Special Collections? Under what circumstances would my library be charged for borrowing or duplication of materials? What kinds of materials are not available for loan or cannot be duplicated? How long will it take to receive materials from USF? How do you bill for lost or damaged items? Non-US libraries may place requests and receive materials from any of the USF libraries. Requests should be submitted using OCLC, fax, email, ARIEL, or US mail. Please include your maxcost and copyright compliance (if required) on all requests. If you elect to ARIEL, fax or mail us a request, we ask that you use the IFLA request form. International loans may be subject to additional restrictions and/or loan periods. Please contact the library in question for further information. Most of the USF libraries have the ability to deliver materials to you via ARIEL. Odyssey, and OCLC Article Exchange. The best method of delivery will be selected during processing. Should electronic delivery fail, articles will send via fax, mail, or email where licensing permits. Please contact the potential lender for further information. The University of South Florida libraries belong to organizations whose members receive loans and copies of articles free of charge. The USF libraries also maintains reciprocal borrowing agreements with many individual libraries; we welcome new mutually beneficial agreements. For further information on reciprocal agreements, please contact us. In general USF does not lend any of the following materials. Items from Special Collections will be considered for loan on a case by case basis. These items will only go to institutions with a Special Collections department for in library use. Special Collections items are also available for digital reproduction on a case by case basis. Please contact the ILL unit at the library in question for more information. Please use the following information as a general guide and direct specific questions to the ILL unit at the library that houses the material you need. In general, we process requests within 24 hours of receipt and send materials back out within 72 hours. Loans are mailed out (excepting DLLI libraries in the state of Florida) via UPS or USPS for international libraries. Most articles are sent electronically via Ariel, Odyssey, or OCLC Article Exchange. When articles are mailed, they will be sent out as First Class mail. Rush services are available in most cases, dependent on staff/material availability. Please see the charges outlined above for information about additional costs. We strongly recommend that you contact the library before submitting rush requests to ensure that we can process your request in a timely fashion. Materials that are sent through interlibrary loan and are lost or damaged will be billed to the borrowing library. Replacement costs for lost materials will be billed to the borrowing library. Damaged materials will be evaluated to determine whether replacement of the material is necessary. Replacement costs for materials damaged beyond further use will also be billed to the borrowing library. Bills for lost materials must still be honored in the event the materials are returned after the bill has been processed and sent. Interlibrary loan services will be suspended for any library that has outstanding unpaid charges.